Bali Water Sports Tour is a Bali Adventure Tour to enjoy comprehensive range of marine activities with great challenges, exciting and designed full of fun in Tanjung Benoa Beach, Nusa Dua, Bali. Bali Water Sports Tour offers variety of water activities from motorizes until non-motorize one and bring you to unforgettable experience to enjoy fun of Water Sports activities in the beach or in the ocean. Our water sports equipment is already passed the international standar safety and we always give the safety information to the guest before due the water sports adventure. During the water sports you will guide by professional Bali water sports guide which already experience and always makesure every second during water sports adventure will make memorable memory. If you find the water sports activities, then you come to the right place, here we provide the water sports adventure with reasonable price for your holiday. We already succsess handle guest do water sports and all of them is happy and bring the wonderfull memory back home. Below is the detail of water sports activities in our company, let us know if you have any question, we will be happy can answer all your question. 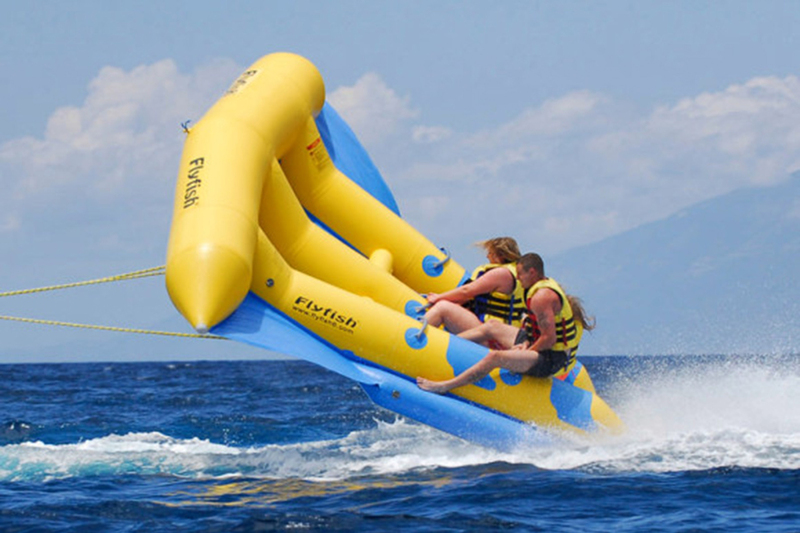 Banana Boat is a Bali Water Sports Tours Packages to enjoy an inflatable recreational boat meant for towing by speed boat. 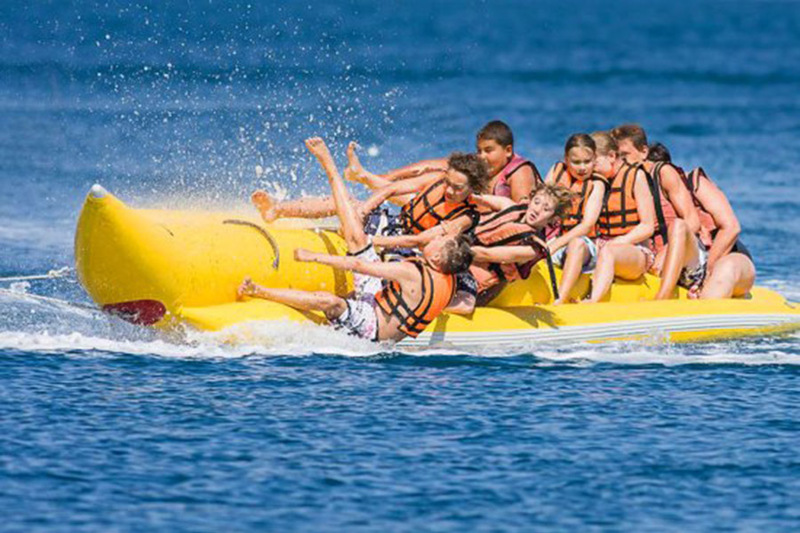 Banana Boat riding is one of the spectacular water activities to explore the warm and blue seawater within 15 minutes. 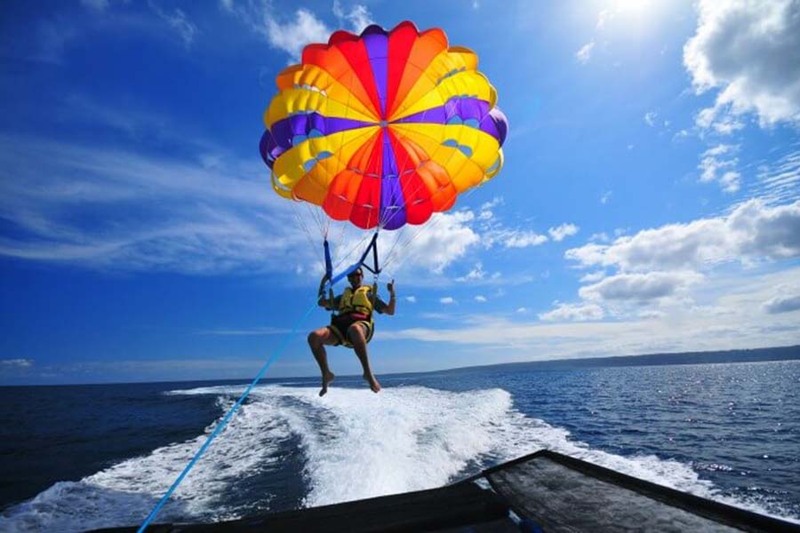 Bali Parasailing Is a Bali Water Sports Tours Packages to enjoy parasailing in Bali Islands. The parasailor is strapped into a harness which is attached to the parasail canopy and connected to the speed boat via a rope. Enjoy see the view from the sky. Bali Jet Ski Is a Bali Water Sports Tours Packages to fell the enjoyable riding jet ski in Bali islands. Much like a motorcycle, acceleration in a jet ski is provided by a hand powered throttle located on the right side grip. During jet ski you will guide by instructur. Bali Ocean Walker is a Bali Water Sport Tours packages in Bali islands. 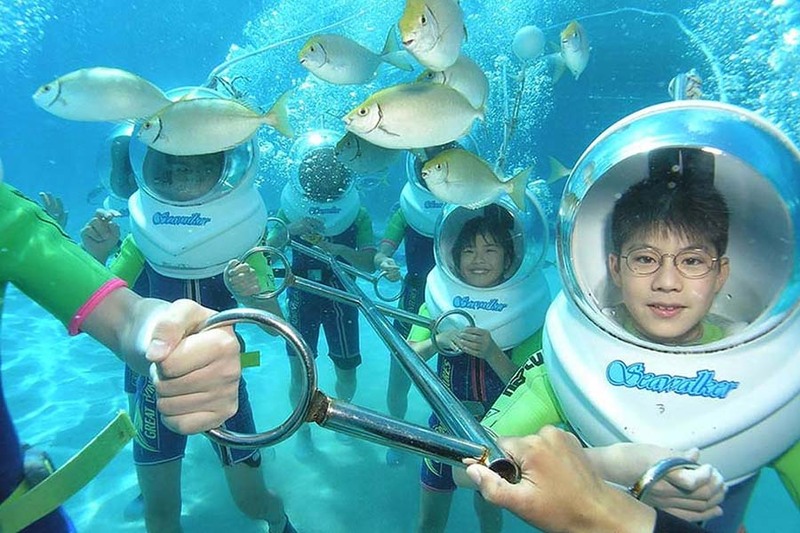 We create something new to offering you step on the sand at the bottom of the sea with Bali Ocean Walker, guest will allowed to enjoy underwater and get in closed with many kind fish for 30 minutes. 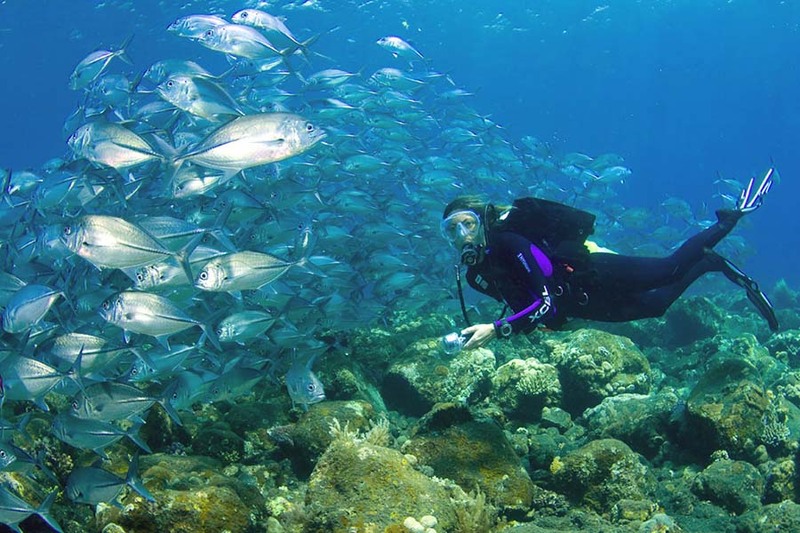 Bali Snorkeling Is an Bali Water Sports Tours Packages to enjoy snorkeling at tanjung benoa beach and see the amazing fauna under the sea. 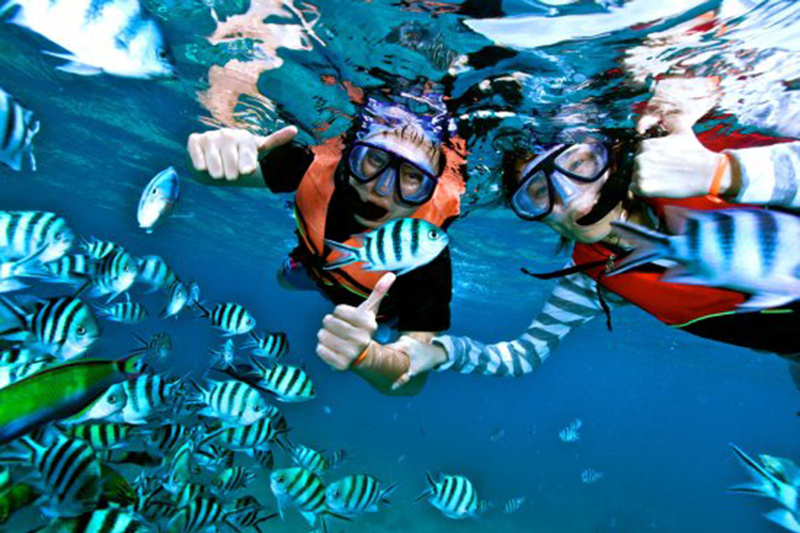 Snorkeling is water activity that allowed you for swimming on or through a body of water while equipped with a diving mask, snorkel and swim fins. 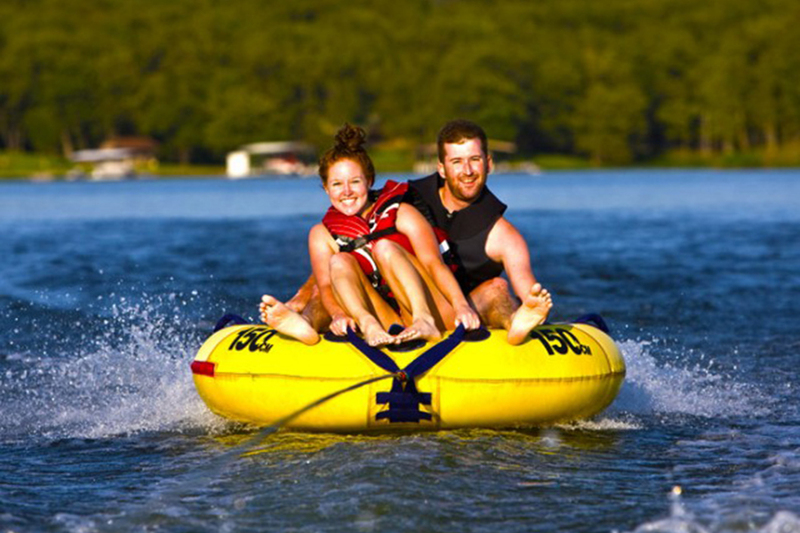 Donut Boat is a Bali Water Sports Tours Packages and one of the new games that began popular in recent years. The shape of a donut-like shape with Banana Boats just a lot look like a donut, donut boat here can be played by 2-4 people and it depends on the speed boat. Bali Wake Boarding is an exciting Bali Water Sports Tours Packages in Bali Islands. Wake boarding is a surface water sports which involves riding a wakeboard in the water. It was developed from a combination of water skiing, snow board and surfing techniques. 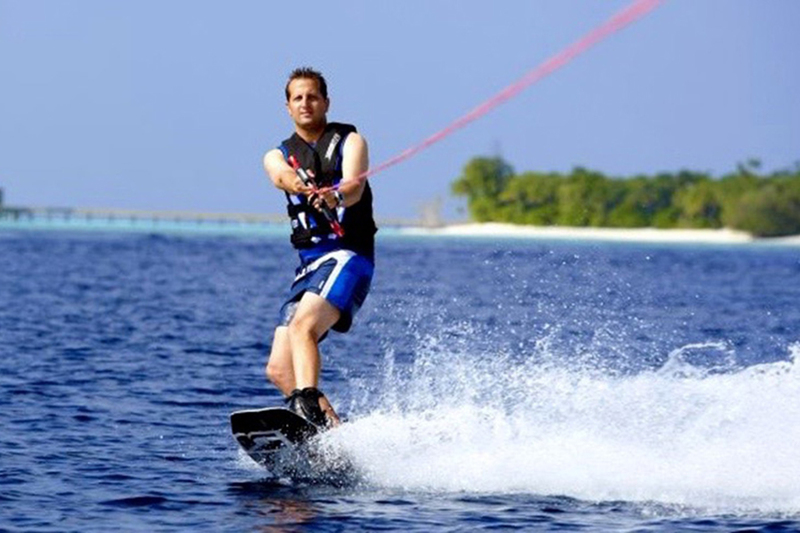 Bali Water Ski is a Bali Water Sports Tours Packages in Bali islands. This Bali Water Sport activity uses water ski board and pulled by the power of speed boat to surround the beautiful beach of tanjung benoa. Allowing the skier to stand upright while holding onto a tow rope. Glass Bottom Boat is a Bali Water Sports Tours Packages in Bali islands. 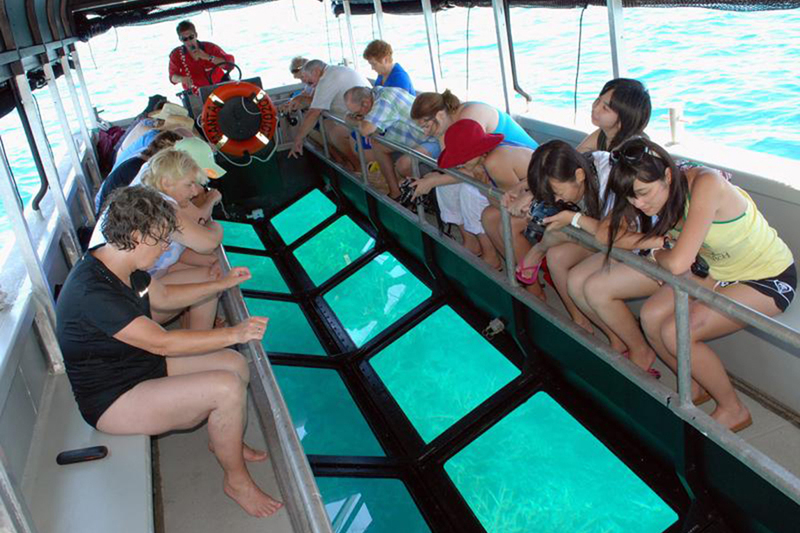 A glass bottom boat is a boat with sections of glass, or other suitable transparent material, below the waterline allowing passengers to observe the underwater world from the boat. 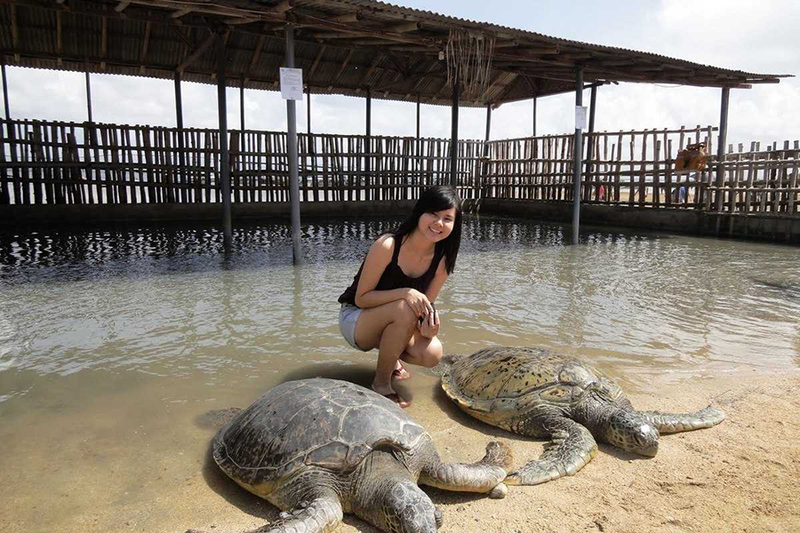 Bali Turtle Islands tour is an exciting Bali Water Sports Tours Packages to enjoy visiting a small island covered by white sand with turtle conservation located in Tanjung Benoa, you can also see some other beautiful animals such as snakes, birds, and etc.